• Religion - making great world wars since 3000 bc. • Religion- keeping the whole middle east in the Dark Ages since 600 ad. • RELIGION - controlling , deluting & dividing the masses since 3000 bc. • Religion - If you ask questions you're going to HELL ! ! • RELIGION :: Screw your so called SCIENCE FACTS !!! when I got my bible that tells me not ! • If a VirGiN is raped in the city & doesn't cry out loud enough, then "the men of the city shall stone her to death." DEUT22:23-24---WTF ???? Forget Richard Dawkins and Christopher Hitchens. Go Team Levi! 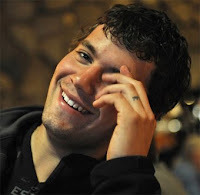 BAMBOO NATION: Levi Johnston: Jesus Hunter!